The DC movie universe is getting a new hero. Shazam! is the latest film from Lights Out director David F. Sandberg and one of 2019’s big expansions of the DC movie universe. While the filmmaker has a strong horror pedigree, this colorful, comical adventure will be different not only from Lights Out, but from all of DC’s other movies. Billy Batson (Asher Angel) is our unlikely hero. He’s a boy who is granted the ability to become Shazam (Zachary Levi), an adult superhero with the power of ancient figures from myth. Aided by his comic book-savvy foster brother, Billy gradually learns to control his abilities while embracing his new heroic lifestyle. While turning into Shazam, Billy is still effectively a child in an adult body – think Big, with superpowers. His good-natured, aw-shucks personality earned him the nickname The Big Red Cheese. But he’s one of DC’s most powerful characters, and is now poised to become a pivotal piece in the puzzle that is the DC movie universe. Here’s everything you need to know about Billy Batson and his grown-up alter ego before Shazam! arrives in theaters. Shazam’s origin story has been revised a few times since his debut as Captain Marvel in 1939. (The battle between Marvel and DC for the “Captain Marvel” name is too long to recount, but in short Marvel won.) For the film, Sandberg chose to focus mainly on the origin established in DC’s New 52 comic book relaunch, which took place in 2011. The modern reimagining sees Billy Batson as a troubled foster child. After running away from multiple foster homes, he’s placed with the Vasquez family. The loving couple looks after five other children. While emotionally distant at first, Billy gradually develops a bond with his new siblings, especially with Freddy Freeman. One afternoon, Billy is transported into a mystical realm known as the Rock of Eternity, where he meets an ancient wizard who chooses him as a new champion. The Wizard imbues Billy with his powers, turning him into Shazam. Billy is initially excited about his abilities, but he soon discovers that being a crimefighter has significant challenges. When villains Black Adam, Dr. Sivana, and the Seven Deadly Sins surface to wreak havoc on humanity, Billy and his new alter-ego have to go into action. Shazam is one of the most powerful heroes in the DC Universe. He has an impressive array of powers at his disposal, most of which stem from six ancient beings. Let’s break down the abilities of the guy they call the Big Red Cheese. The character gets his powers from the wizard Shazam, whose name is an acronym for the six ancient gods and beings whose powers he channels. Wisdom of Solomon: The Wisdom of Solomon imbues Billy with knowledge ranging from ancient mythology to science. It also allows him to be fluent in many languages. Strength of Hercules: The Big Red Cheese’s strength level is comparable to that of Wonder Woman and the Man of Steel. In earlier incarnations, Shazam was even able to move planets with relative ease. Stamina of Atlas: Shazam can withstand incredibly powerful attacks. He’s also capable of fighting as much as he wants without getting tired, and can survive without food, water or air. Power of Zeus: This particular gift enhances Shazam’s strength and stamina. It also allows him to cast spells, and heal himself through lightning. Courage of Achilles: Achilles’ courage enhances Billy’s righteous nature and protects his mind against psychic attacks. Speed of Mercury: Shazam possesses super speed. Due to the mystical origin of his power, Shazam is technically faster than The Flash. That’s not all. Billy’s alter-ego also has the ability to manipulate lightning, and can even share his magical abilities with other people. They don’t call Shazam “Earth’s Mightiest Mortal” for nothing! 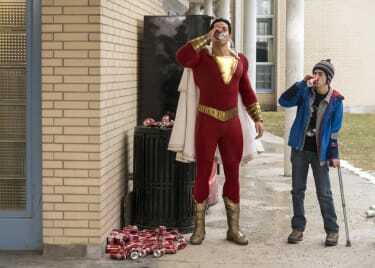 How Other DC Movies Influence Shazam! 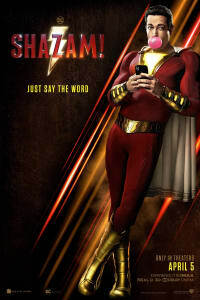 It’s a standalone movie, but Shazam! is part of the DC movie universe. The film’s San Diego Comic-Con teaser included a handful of Easter Eggs related to Superman, Batman, Aquaman and the Justice League. These references aren’t just fun nods to the larger cinematic franchise. 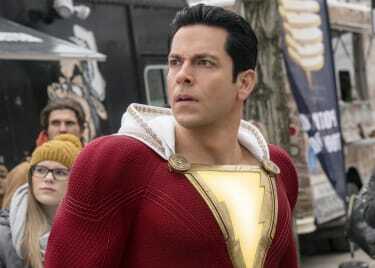 Director David F. Sandberg found a clever way to make the DC universe play an important yet indirect role in Billy Batson’s crimefighting career. In the film, Billy enlists the help of his superhero-obsessed foster brother, Freddy Freeman, to help familiarize himself with the crimefighting world. Guided by Freddy, Billy learns to control his newfound abilities while gradually molding his superhuman alter ego after the ideal superhero archetype. 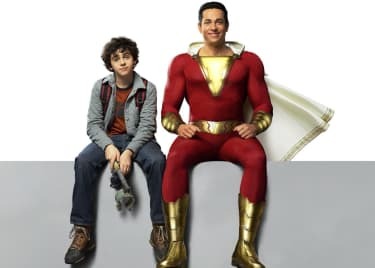 It’s a fun dynamic that complements the movie’s comedic tone and allows the heroes of the DC universe to influence Billy without interfering with Shazam!‘s standalone story. Zachary LeviDavid F. SandbergActionDC Extended UniverseAsher AngelWarner Bros.SuperheroShazam!